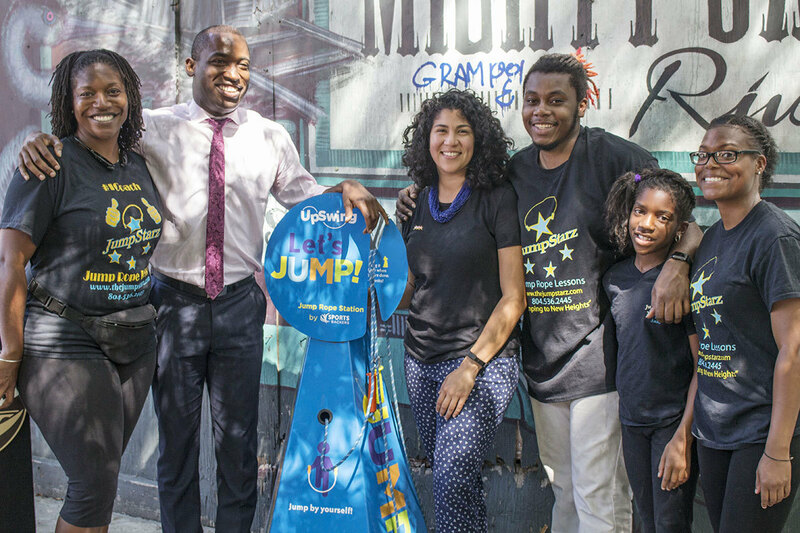 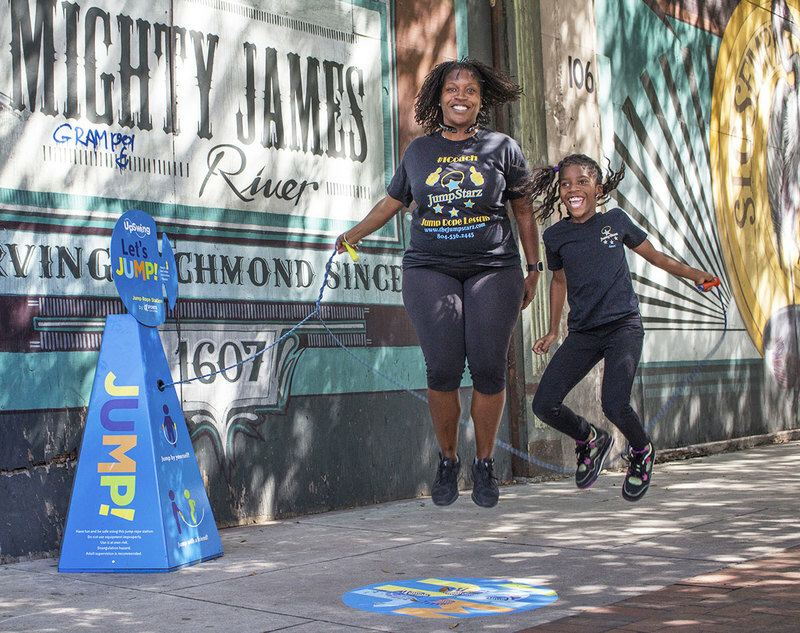 What was once used to dispose of cigarette ashes is now an UpSwing station, where kids can jump rope while their parent or caregiver is in a barber shop or salon. 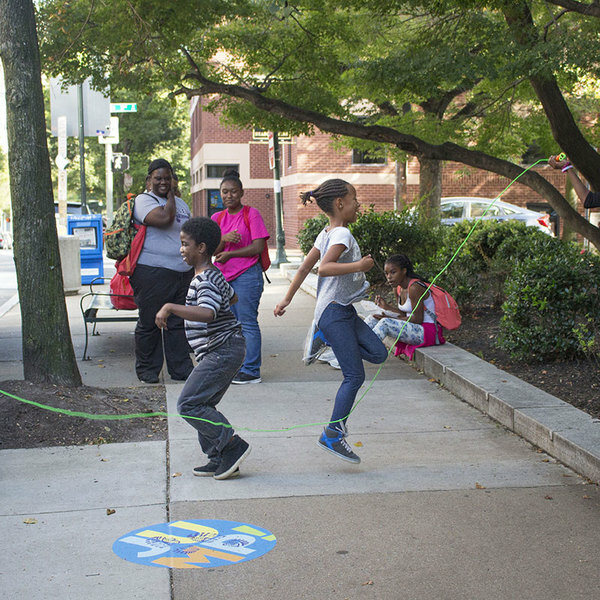 The retractable ropes provide kids and families with the opportunity to play, jump and connect with one another. 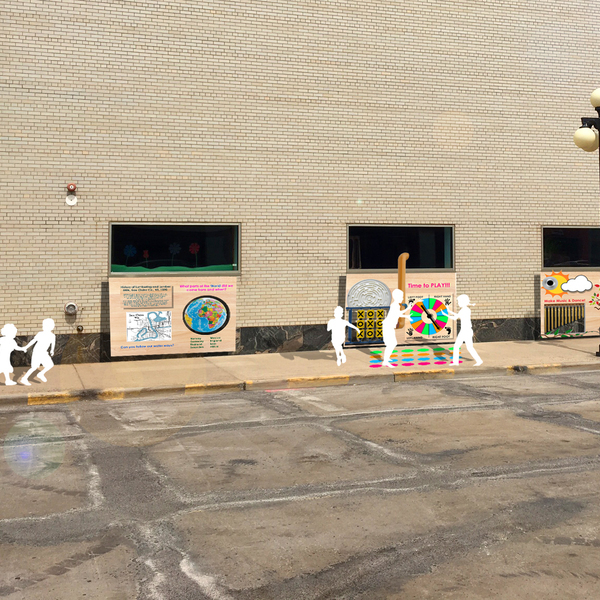 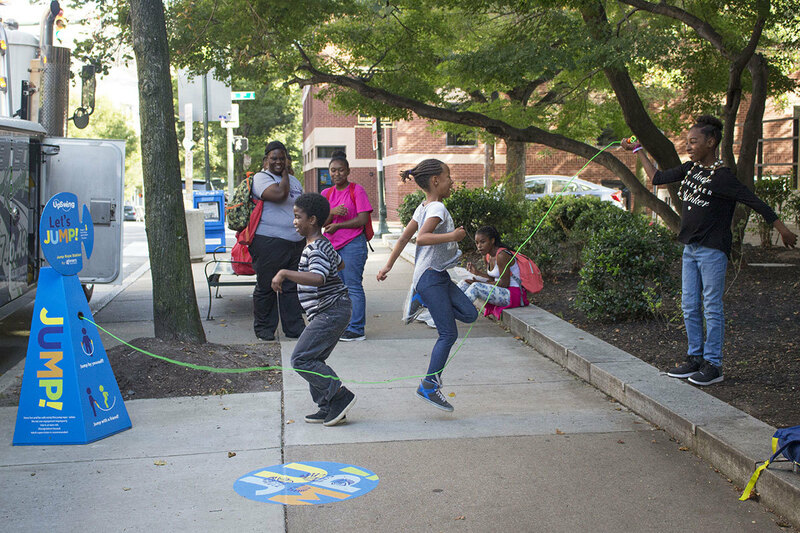 Weaving play into the streets of Richmond increases youth and family engagement in healthy, fun recreation. 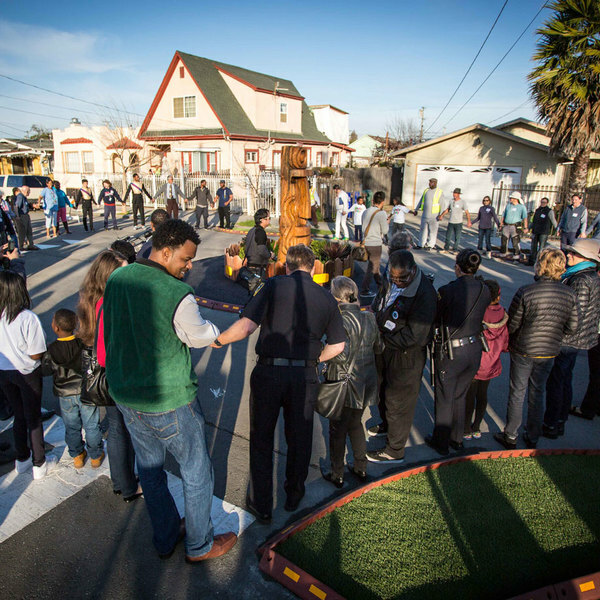 It also furthers the visual transformation of these neighborhoods into safe, positive communities of choice. 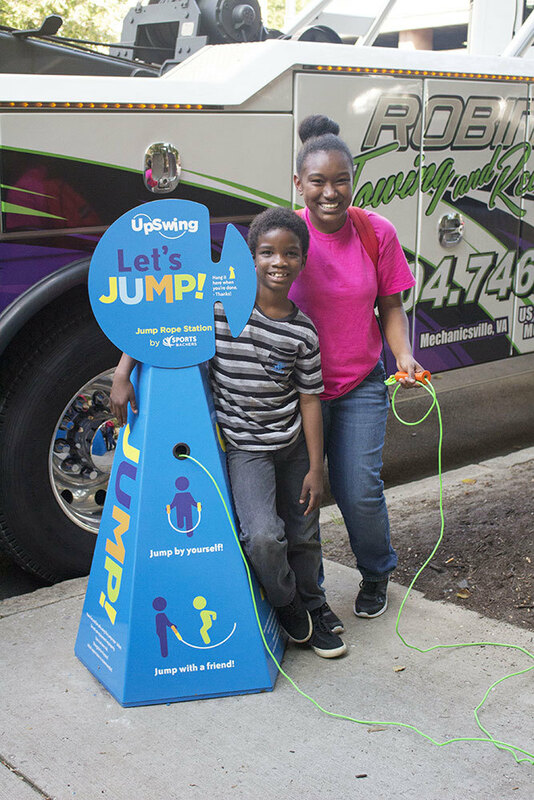 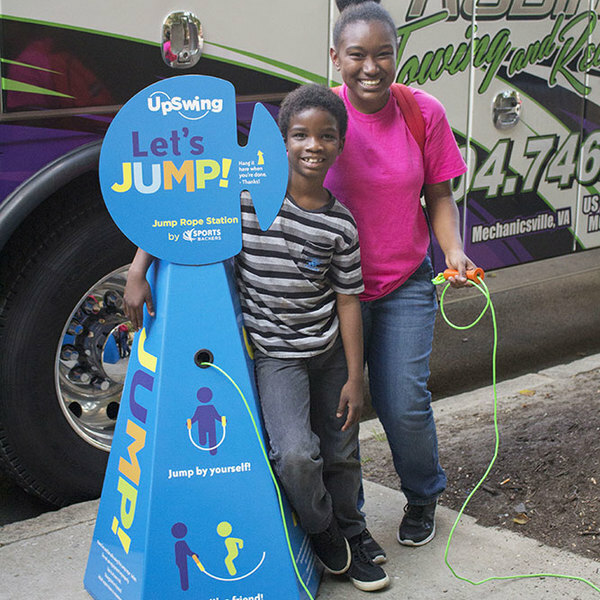 Thanks to UpSwing, kids now perceive their community to be a place where activity, fun and fitness are valued and integrated with everyday life. 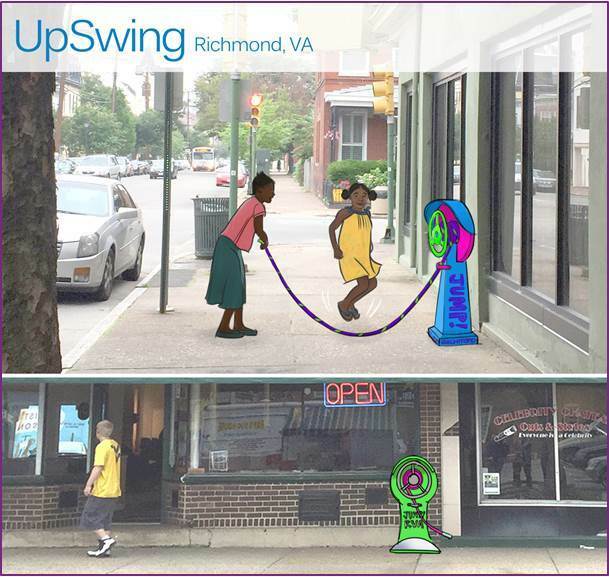 UpSwing partners are looking into other ways to activate their surroundings so that they are better for clients, kids and families. 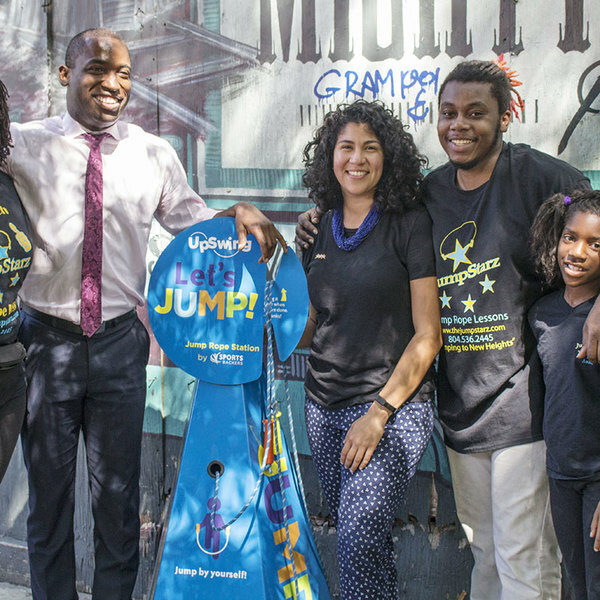 One of the barbershop owners is even putting a spotlight above the UpSwing station so that people can use it at night. 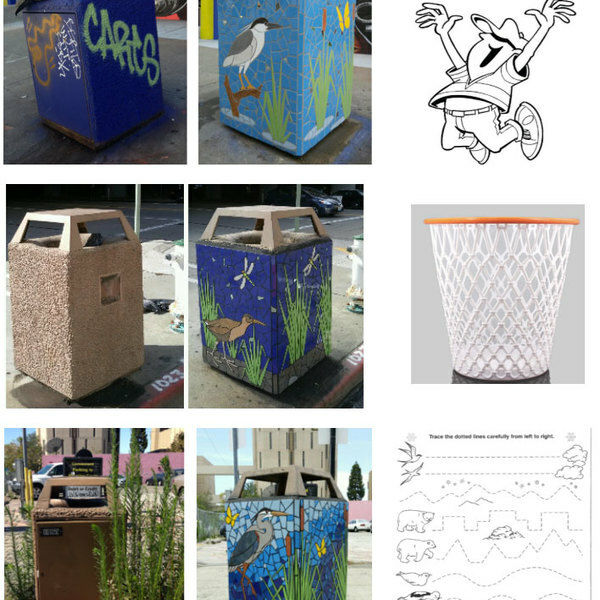 Art and whimsy provide surprising moments of wonder on cement trashcans in Oakland, California.